Taken from an acrylic and collage by Sir Terry Frost RA, these Christmas cards are from ArtPress. 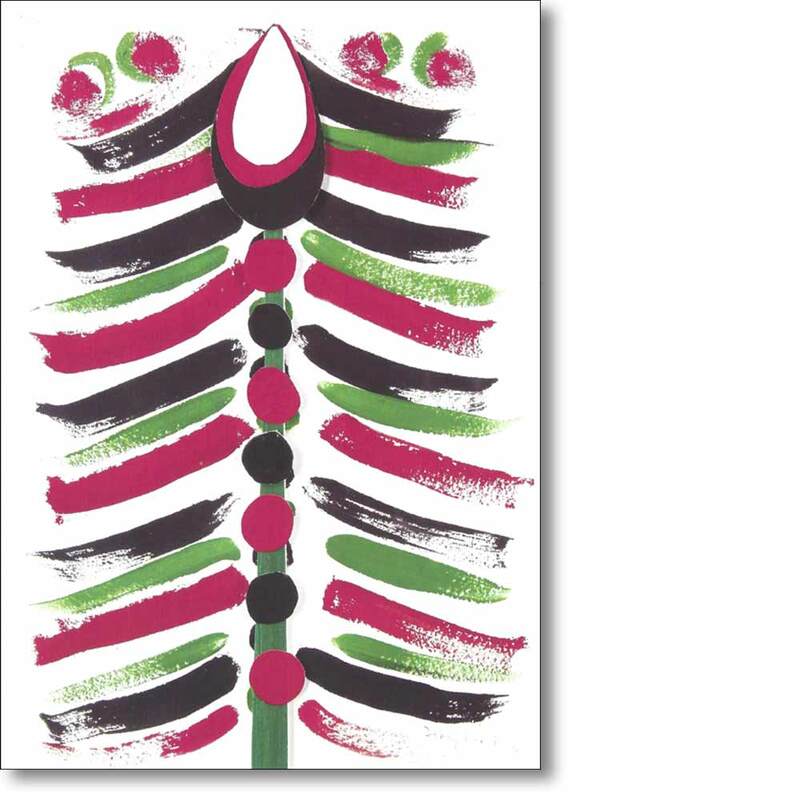 The boxed wallet contains ten Christmas cards of the same design. Terry Frost is a widely recognised as one of the leading British abstract artists of his generation. Born in Leamington Spa, Frost discovered his talent for painting as a prisoner of war during the Second World War. After returning to England Frost attended Camberwell School of Art, London. He went on to teach at Bath Academy of Art, Leeds University and Newcastle University before being appointed Professor of Painting at the University of Reading. 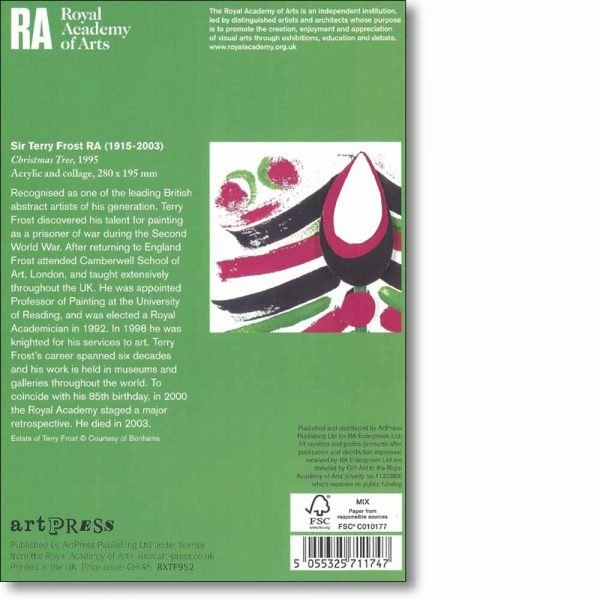 In 1992 Terry Frost was elected a Royal Academician and in 1998 he was knighted for his services to art. Terry Frost’s career as an artist spanned six decades and his work is held in museums and galleries worldwide. 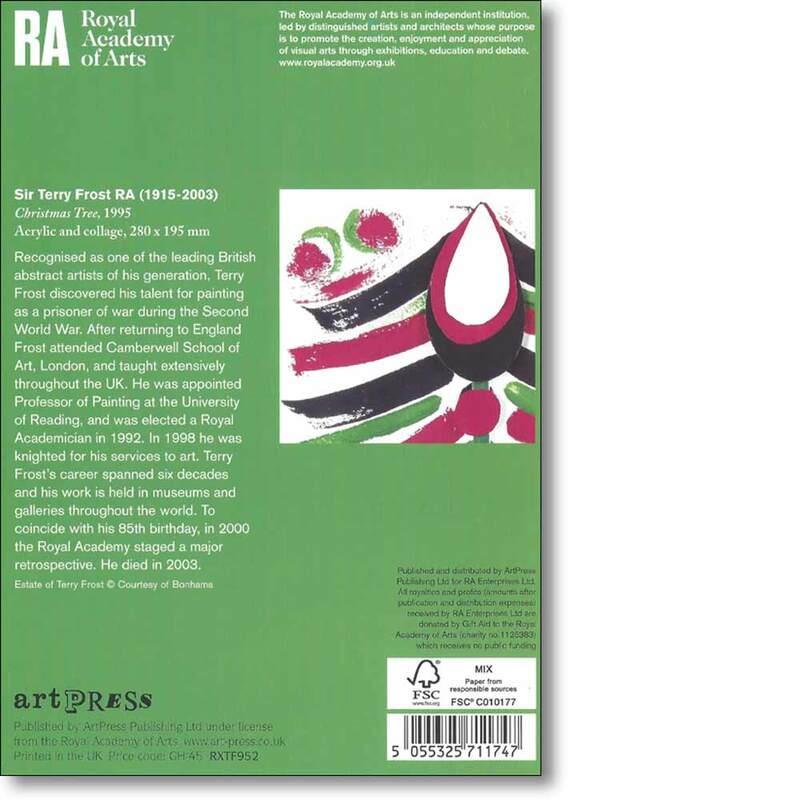 In 2000 the Royal Academy staged a major retrospective of Frost’s work to coincide with his 85th birthday. He died in 2003.